I can’t believe it’s the 4th week of grouting. Time is going by incredibly fast. My project will be over in a flash. Thinking about how fast time goes by reminds me to stop and acknowledge where I am and what I’m doing. 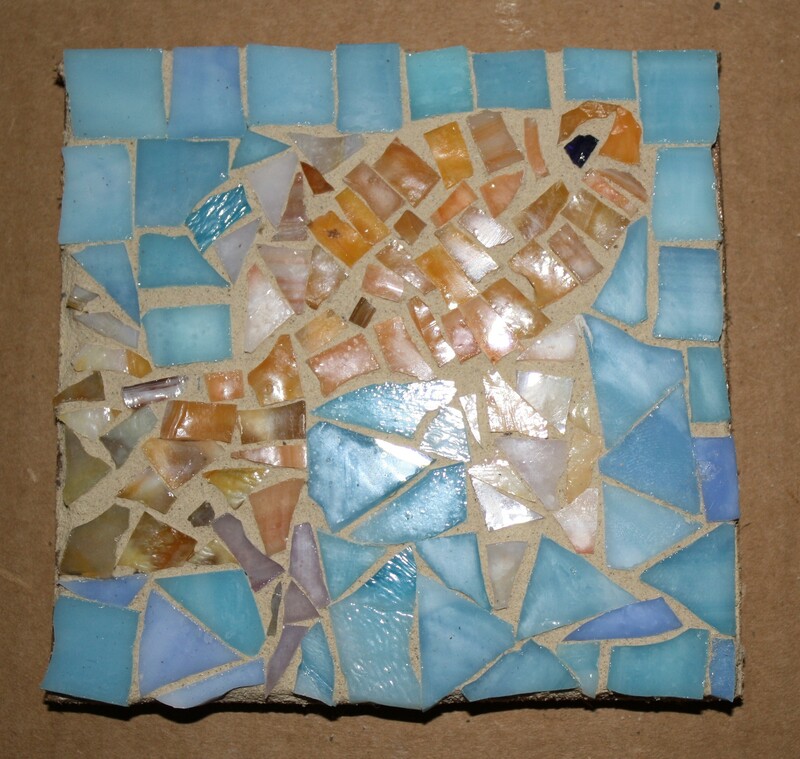 Writing about my mosaics helps with this because each day I think about where, when, and why I created that mosaic, that day. I know this process is helping me to be very present in my life. 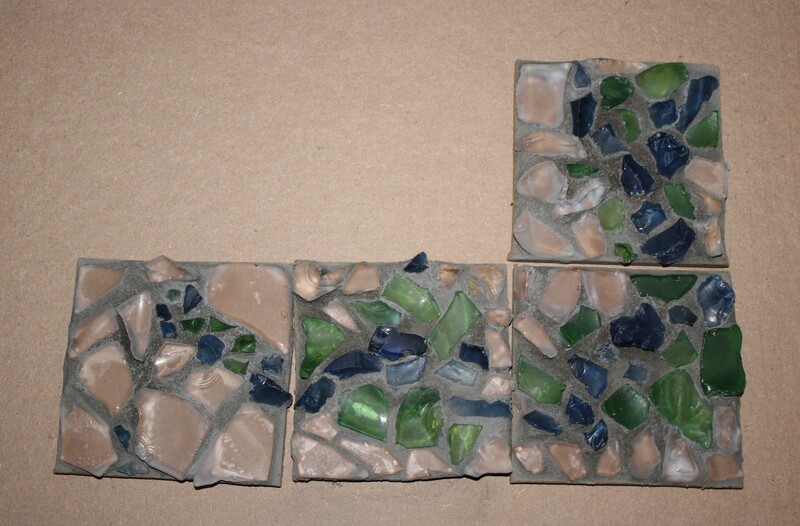 So, here are Monday and Tuesday’s mosaics. I love both of them. And here’s the beach glass series. I changed the layout again and I used a dark grout. It really changed the feel of the pieces for me. They feel less “beachy” to me. What I love about art projects is that you can always try another variation. 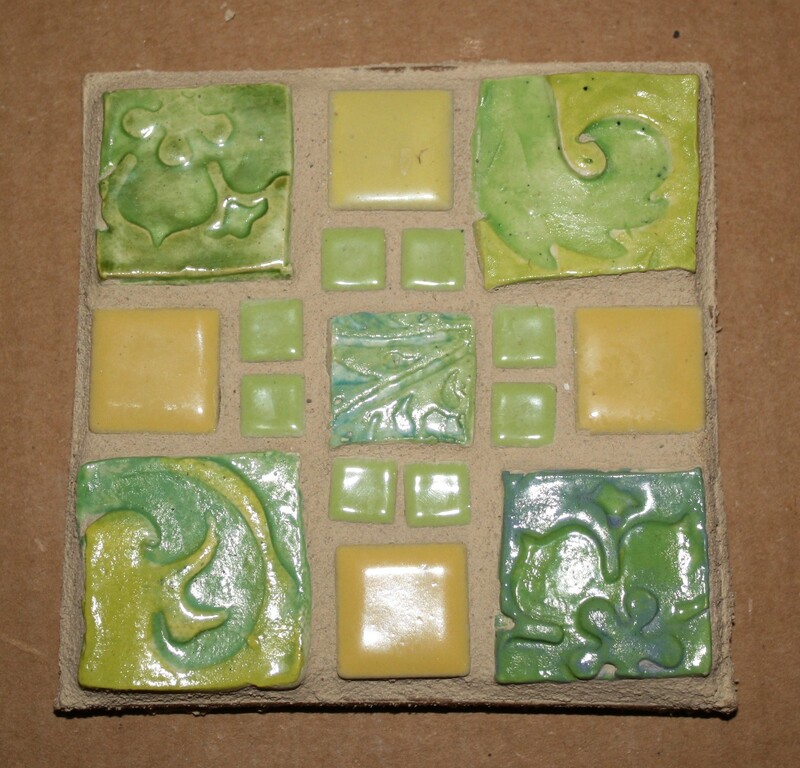 I think I’ll try a variation of this in the future with a lighter grout. Oh Judy! everything you have done is soooo coooollll…. I love how creative you are and how nicely you can create a likeness…. the fish this week is so cute. Looking twice at the beach glass is see a sea animal. Can’t wait to see what you come up with next! I think the fish is cute too. He’s been growing on me all week.